2018 repress. 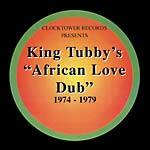 King Tubby's African Love Dub 1974-1979 complies rhythms played by The Aggrovators (featuring Sly Dunbar, Robbie Shakespeare, Aston Barrett, etc.). 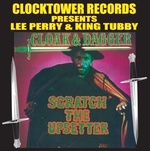 Mixed by King Tubby, and produced by Bunny Lee. 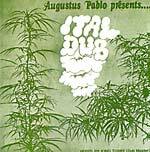 2018 digipak edition of 1975's Explosive Dub. There are very few people who define a genre the way King Tubby defines dub. From the early days of dub in the 1960s, King Tubby (born Osbourne Rodduck) influenced a generation of producers across a variety of genres and continued to do so until his death in the late 1980s. While King Tubby was known for experimenting with different sounds, he was also truly never one to settle for mediocrity. Flexing his signature dub muscle on 1975's Explosive Dub, a compilation of various Tubby gems 19 tracks long, the true beauty of his ability is brought to light. It's obvious to the listener that King Tubby spent hours perfecting each track and remix before releasing it to the public. 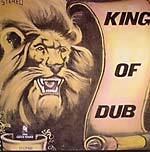 Explosive Dub, a previously hard to find collector's item is a shining example of King Tubby's work. 2018 repress of 1976 release. Produced by Lee Perry, Prince Jazzbo's Ital Corner is the full-on "Black Ark" sound from the Super Ape (1976) era. Riddims include Max Romeo's "One Step Forward." Clocktower Records presents a reissue of Toyan's Ghetto Man Skank, originally issued in 1983. Toyan had a string of hits in the late 1970s and 1980s, and worked with the likes of Freddie McGregor, The Mighty Diamonds, and more. Clocktower Records presents Culture Uprising, Volume 1, a compilation of dancehall reggae featuring Sizzla, Luciano, and more. Features: Jah Cure, Natural Black, Capleton, Richie Spice, Daweh, Norris Man, Morgan, Fantan, Buju Banton, Turbulance, Chuck Fenda, Anthony B, and I-Wayne. Clocktower presents Golden Rockers, a compilation of roots reggae and rocksteady featuring Delroy Wilson, The Uniques, and more. Also features Val Bennett, Lloyd & Devon, Horace Andy, Dennis Brown, Ken Parker, Alton Ellis, Dave Parker, Pat Kelly, The Wailers, and Cornell Campbell. Johnny Osbourne joins forces with Roots Radics to record a heavy set of jams, with dub versions of several tracks included. As the title suggests, 1980-1981 Vintage was recorded in 1980-81, and features production by Linval Thompson and contributions from a huge cast of Studio One session musicians, including Errol Carter, Eric Lamont, and more. African Princess is a set of Linval Thompson's Channel One recordings from 1974-6. 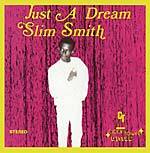 Musicians include Robbie Shakespeare, Earl "Chinna" Smith, Tony Chin, Ossie Hibbert, Augustus Pablo, Tommy McCook, and more. "Bunny Lee's 'flying cymbal' production dominates the session and consequently the listener might recognize several of these cuts from dub compilations on Blood & Fire. Generally speaking, though, this is not a dub record. Only the last song on each side is followed by a dub version. These are straight-ahead rockers with no frills and, depending on the pressing, rather muddy production. It is also worth mentioning that 'Money Money' and 'Blood Gonna Run,' among others, find Robbie Shakespeare at his slippery and infectious best. Serious basslines throughout." --AllMusic Guide. 2018 repress of 1979 release. Linval Thompson was the quintessential roots vocalist who also scored hits in the lover's rock mode; as a quick-witted producer, he helped germinate the contemporary dancehall style. 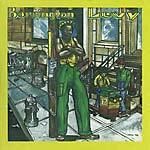 Six Babylon shows him in fine form, in the company of musicians like Sly & Robbie, Earl "Chinna" Smith, and more. 2017 digipak edition. Originally released in 1981. A virtual wizard of the mixing desk, Overton H Brown has been one of the key figures in dub since the late 1970s. Getting his start as a teenager at King Tubby's legendary studio in Waterhouse, Brown was known as The Scientist because his imaginative approach to the mixing desk and electronic gadgetry seemed to derive from magical powers that linked him to some intangible, futuristic realm. 2017 cardboard sleeve edition. There are very few individuals who command the respect of dub aficionados greater than "The Dubmaster" himself, King Tubby. On Tubby's venerable 1974 release Dub From The Roots, he introduces the "Shalom Dub", a method of mixing flying cymbals with horns in what he describes as "going in and out in a dub way". Borrowing from the 45s of Johnny Clarke, Jackie Edwards, Cornell Campbell, John Holt, and Horace Andy, King Tubby takes the listener on a journey through a vast array of different emotions, rhythms, and soundscapes. One of the standout cuts, "Iyahta" explores Tubby's use of deep electric basslines to evoke a melodic calmness in the listener, while "Mine Field" and "Hijack The Barber" bring the listener back with the cavernous echoes of stabbing guitars, horns, and cymbals. 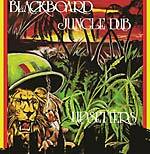 2017 cardboard sleeve edition of 1975's Explosive Dub. There are very few people who define a genre the way King Tubby defines dub. From the early days of dub in the 1960s, King Tubby (born Osbourne Rodduck) influenced a generation of producers across a variety of genres and continued to do so until his death in the late 1980s. While King Tubby was known for experimenting with different sounds, he was also truly never one to settle for mediocrity. Flexing his signature dub muscle on 1975's Explosive Dub, a compilation of various Tubby gems 19 tracks long, the true beauty of his ability is brought to light. It's obvious to the listener that King Tubby spent hours perfecting each track and remix before releasing it to the public. 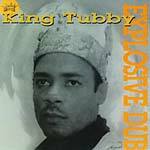 Explosive Dub, a previously hard to find collector's item is a shining example of King Tubby's work. 2017 cardboard sleeve edition of The Sound of Macka Dub Vol. 1, originally released in 1980. Featuring Glenn Adams (piano/organ), Mr. Wire (piano/organ), Rick Trater (guitar), Bobby Chung (guitar), Carlton Barrett (drums), Tad Dawkins (drums), Sparrow Martin (drums), Maurice (bass), Family Man Barrett (bass). Produced and arranged by Brad Osbourne. Mixing engineer: Phillip Smart.